For those of us in higher education, August and September are the real start of the new year. With that in mind, we are planning more posts for you to read in October after we all get the start of the new year behind us. The article says that “nontraditional” students are the new normal. That should reinforce our efforts to look at our processes and procedures in a new way. 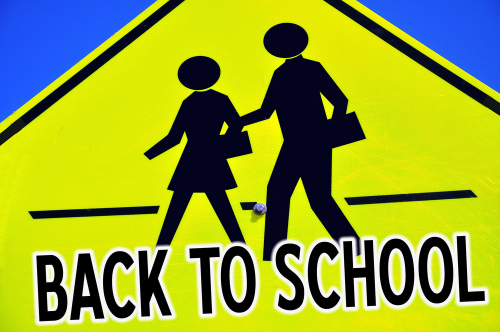 Welcome back to the new school year! 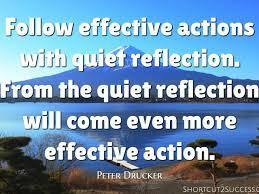 This quote from Peter Drucker highlights the importance of reflection as part of learning. Learning from experience can be more effective if coupled with reflection. Reflection builds confidence in our ability to achieve a goal. With that in mind, we’ll be taking a break until after Labor Day. As our team spends the next month on vacation and catching up on projects, we’ll also take time to reflect on the past year and what we learned from it. I hope you will have some time to relax, reflect, and re-energize during the rest of the summer. I know this isn’t a surprise to any of you; it takes work to develop your leadership chops. And in the end, you need to take responsibility for your own development. Given that my profession is leadership development, that is hard to hear but it is reality. 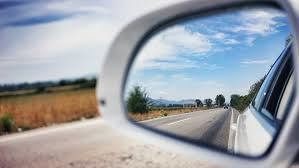 As we prepare to take a short break from our blog I want to share a few ideas for you to consider and perhaps use to drive your own leadership development, wherever you are on your leadership journey. Natasha Bowman recently shared a short article in Forbes titled, Five Ways to Take Charge of Your Professional Development. Each of these give you an opportunity to drive your own development. Earn a certificate in your field. A few years ago I earned my Certified Professional in Learning and Performance certificate from the Association of Talent Development. Taking responsibility for diving into the 10 areas of expertise in my profession was a powerful development experience. Ask yourself, where do I want to expand and grow? Enroll in an online course. Technology has made available a wide range of inexpensive and easy-to-access courses on almost any topic. For us in higher education it gives us a chance to better understand our students by becoming one! Speak at a conference or seminar. Challenge yourself to move from the audience to the front of the room. Nothing helps you learn more than having to teach others about your topic. Expand your scope. Actively look for and propose to your boss projects, activities and experiences outside your normal responsibilities. Find a mentor. And meet with them! Reach out and ask someone to formally be your “mentor.” Most people love to help others, even if they are busy. Take responsibility to identify why you want a mentor and to schedule and drive the conversations. What work experiences best prepared you for your current leadership role? Last week, my colleague Todd and I asked this question of leaders who are advising us on a new leadership development program. The program is designed to build the pipeline for selected C-suite positions in Minnesota State colleges and universities. The discussion that ensued was a fruitful one. It got me thinking about how important it is that as leaders we reflect on our own development so that we are more effective in our current roles. In my experience, challenging or new work experiences have offered up the most opportunities for growth. My first big managerial role right out of college taught me much about team building as I supervised a staff of 30 at a resort hotel in Montana. Another experience working with multiple institutions across the country and educational associations in Washington, D.C. taught me about partnership, collaboration, and the importance of strategic communication. What work experience was the most challenging for you? What did you learn from it? What work experience stretched you most in your career? How might you challenge yourself to learn and grow in your current role? 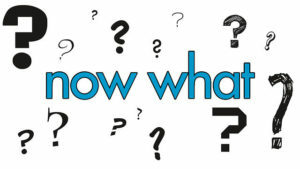 Are there assignments or projects you can take on that will require you to learn new skills or information? How might you develop stretch assignments for your team members that will help them grow? 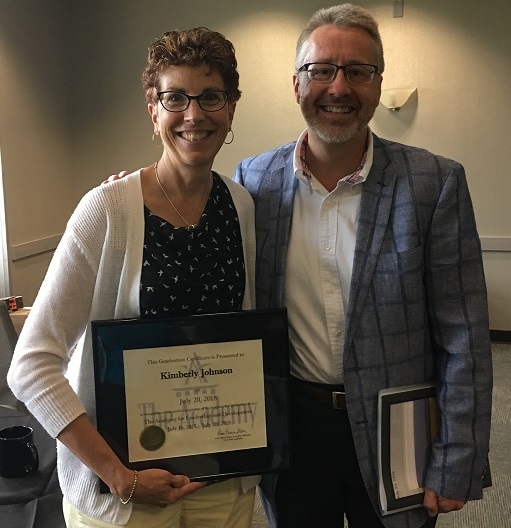 I spent most of this week at the Luoma Leadership Academy, a year-long program in which about 60 leaders at Minnesota State have been learning about leadership and putting it into practice with action learning projects. At the graduation program, Senior Vice Chancellor Ron Anderson spoke about the importance of developing ourselves as leaders. I appreciated his thoughts about the importance of development, even when it’s hard. First, he talked about becoming comfortable living in the “murky space” of continuous change. He challenged us to stand up, step out of our comfort zones, and engage in what we could do, not just what we are doing. Increasing our comfort with change, from a work and personal standpoint, enables us to better serve our students, institutions, and the system. He also challenged us to become comfortable with failure. As we push ourselves and our institutions into new places, we will try some things that don’t work. He reminded us that failure isn’t bad, and it doesn’t mean we’re bad leaders. As long as we learn from it, failure is part of the development process. As Vice Chancellor Anderson pointed out, we in higher ed are less likely than some other industries to support the idea of “fail early and often.” Developing ourselves as leaders for the future will mean moving into that space and trying new things, even if we aren’t sure whether it will work as planned. Putting ourselves into places that may be uncomfortable, and stretching our boundaries, is a key component to our work as leaders. What uncomfortable challenge have you taken on recently? You’ve hired good people, set goals, helped them identify development opportunities, scheduled and held performance reviews, managed workloads, and overall avoided the “bad manager” actions Dee Anne described. What else do you need to do to build organizational talent and help your people succeed? Give them feedback on how they are doing! Have a dedicated coaching conversation once a quarter. Schedule it for 15 minutes. Provide two comments to the employee on their progress towards their goals. Provide two comments to the employee on what they could do more or less of in the future to be more effective. Clear and direct feedback has been shown to be a crucial element for high performance and goal attainment. Clearly you will be working with your people to solve problems, develop ideas, complete projects and other on-going tasks. However, carving out time for dedicated coaching and feedback on goals will help you effectively develop and build organizational talent and increase the performance of your people and your team. Define the Job Carefully – Before pulling out an existing position description, enlist the aid of your human resources professional to conduct a thorough job analysis. Collect information about the job responsibilities and desired outcomes, along with the required skills, knowledge, and abilities needed for the job. An accurate position description can help you plan your recruiting strategy for hiring the right employee. Plan your Recruiting Strategy – Meet with those involved in the hiring process, including your HR professional, the hiring manager, team members, search committee members, and others who might assist with creating a recruiting plan. Use a Recruiting Checklist – Does your HR office have a recruiting checklist? 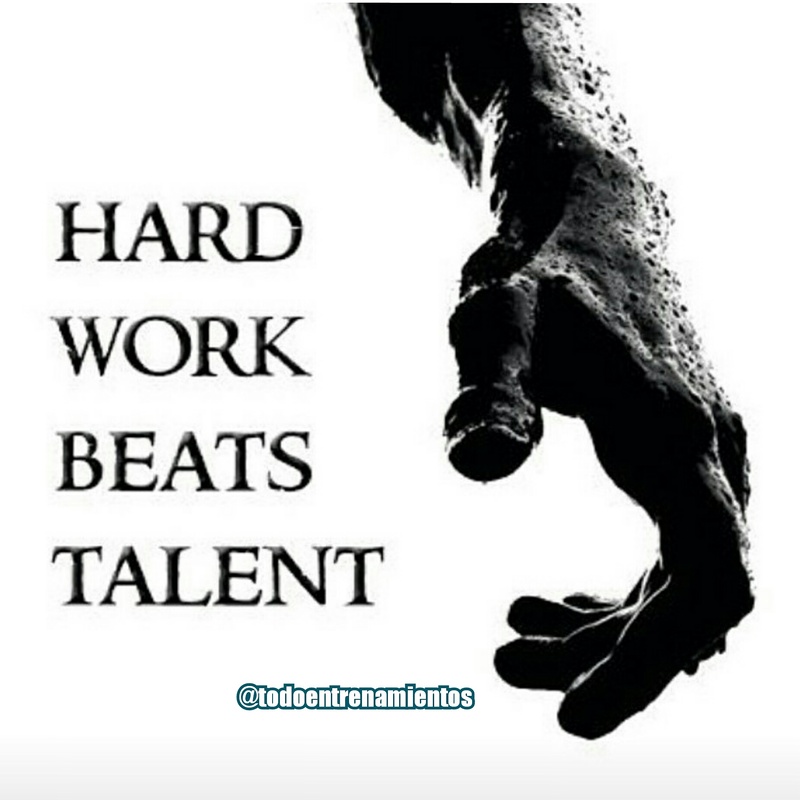 If so, go ahead and use it keep your recruiting efforts on track. If not, create your own to systematize the process and keep everyone involved informed. Actively Source Candidates – Forget the old “post and pray” method of recruiting. 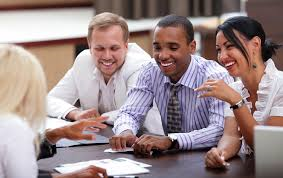 Reach out to professional associations and diverse communities in your advertising efforts. Better yet, work to develop relationships with potential candidates long before you need them. This will ensure that you have a large pool of qualified candidates when you have an open position. Review Credentials and Applications Carefully – Screen applicants against the qualifications, skills, experience and competencies listed in your well-developed position description. When you do, you’ll spend your time interviewing the most qualified candidates. Ask the Right Job Interview Questions – Create behavioral questions that are tied to the competencies needed for the job. Agree upon the desired answers in advance of the interview so that all search committee members are rating the candidates effectively. Check Backgrounds and References – Before hiring an employee, check their background to verify their work experience and credentials. Contact references to gain insight into how the candidate has performed in past positions. Online reference checking solutions (rather than phone reference checking) can help you sort through your top candidates with candid and reliable information. Hiring the right person for your team takes time, but is well worth the effort. What have you done to hire the right person for your team?